Sometimes I make stupid things. Okay but can anyone doubt the truthfulness on display? 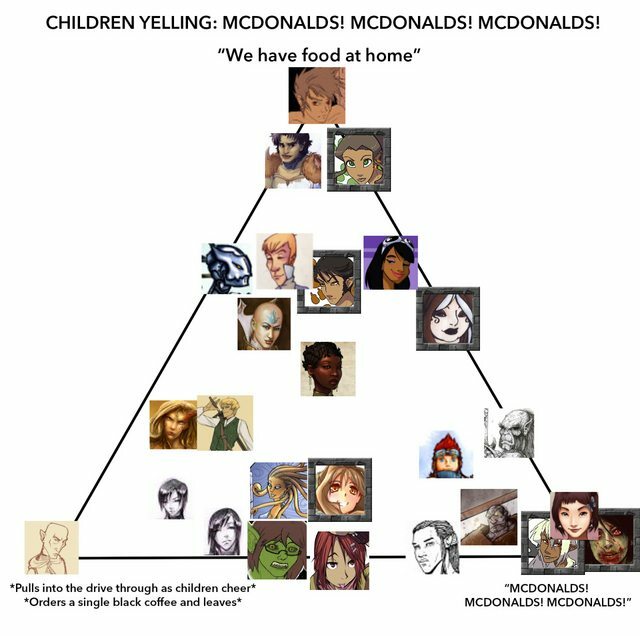 Well, I was constrained by the nature of 2D imaging so that Kell-y, Xali, and Abby couldn't be represented as a single vertical stack at the farthest edge of the Mcdonalds! point. Work has been kinda tough this week. Sorry for the anemic posting. I have now been upgraded with pneumonia. No idea what this will do for my posting, but if I sound weirder than usual, please keep in mind that I'm rocking a debilitating fever. Pneumonia's no joke. I hope you feel better soon. FYI I'm doing much better, expect a post later today or tomorrow.